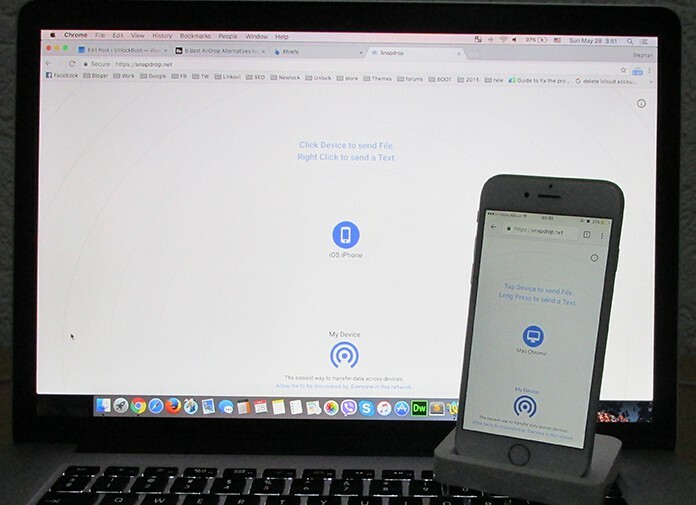 Whether you use a Mac, an iOS or any other device, the ability to share files is an absolute must and AirDrop is a useful app that does the job for Apple. It easily transfers files between the various iDevices. Despite being a simple file sharing medium and easy to use, it is not without its own set of flaws. AirDrop uses Bluetooth or WiFi to share files between Apple devices only. 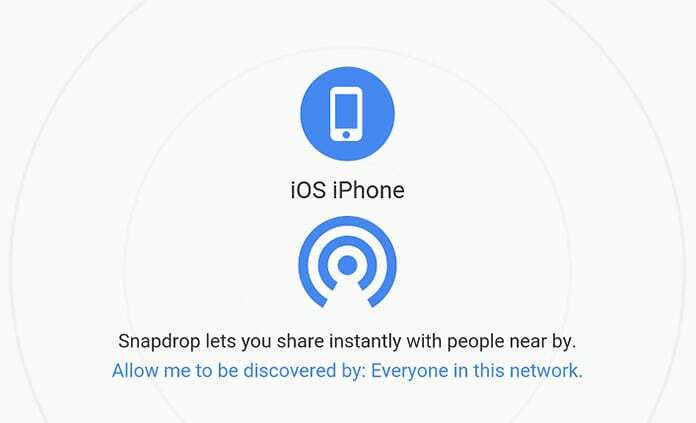 So, if you own a Window or Android device then the AirDrop will not work for you. Thankfully there are many alternatives available that offer similar kind of solution. Read on to find the best AirDrop alternatives for Windows to use AirDrop on PC. Below is a list of the best AirDrop alternatives for Windows to download and transfer files from your iOS devices to your Windows 10, 8 or 7 Computer. We have tested a lot of apps that are offering the same functions and shared with you the best 4 apps to get AirDrop for Windows (the same file transferring experience). When we are talking about file sharing apps, we cannot forget Instashare. It is another amazing alternative for AirDrop. First, you need to download the app on your device, and after the installation is complete, you simply need to hit the share button you can see near each file and initiate the sharing process via Instashare. This app supports different types and sizes of files. It also comes with the clipboard sync feature that allows you to easily share a text or link. The app can be downloaded for free trial for seven days using this link. This is a popular file sharing app with some cool features. It can be used on various mobile platforms such as Windows, Android and iOS. 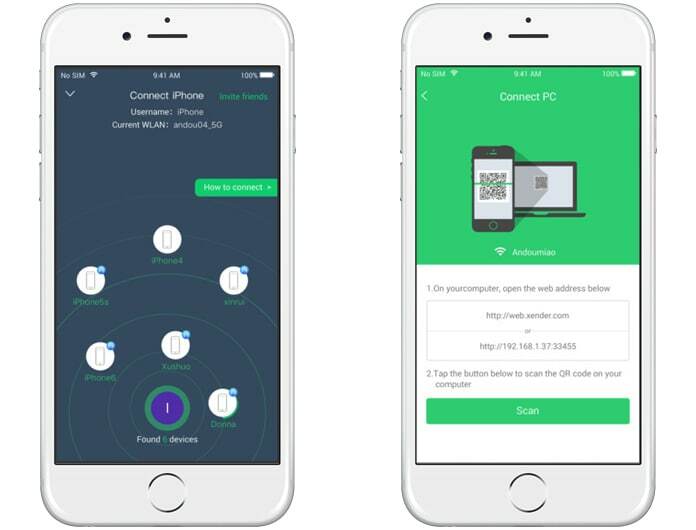 You easily connect your PC or Mac to your mobile device using the Xender app. To start sharing files you may either visit the link Xender sends you to scan the QR code provided in the web app. After you are done establishing the connection, it will display all the files available on your phone. You can either download these files or share them using other PC or devices. Download Xender for your device from their website. 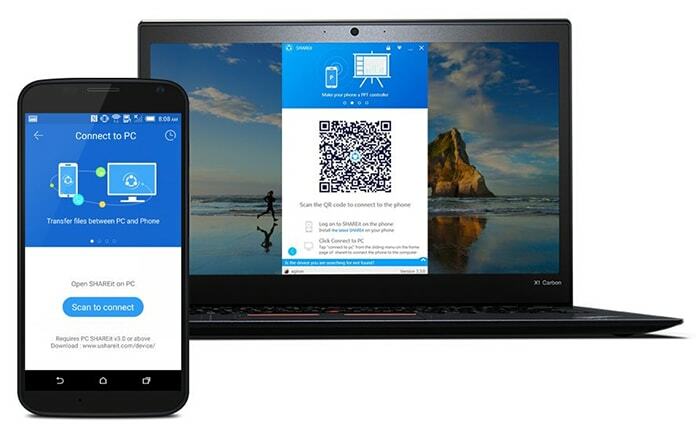 SHAREit is an amazing file sharing tool offered by Lenovo and it is free. It works in sync with most of the major mobile platforms. 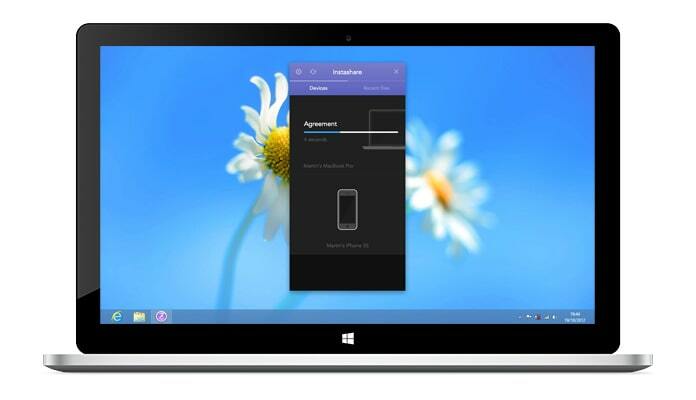 You can use the app to connect your smartphone to a Mac or Windows 10/8/7 PC using the same WiFi connection. You just need to scan the QR code after connecting your device to the WiFi hotspot. After being connected, you can use the app to send as many files as you can. It might not be so easy to use as AirDrop, but you will find this app useful when you have to share large files in less time. Download SHAREit for your iOS, Android or Windows device from this link. We hope the above mentioned apps help you find the best AirDrop alternatives to use AirDrop on PC.